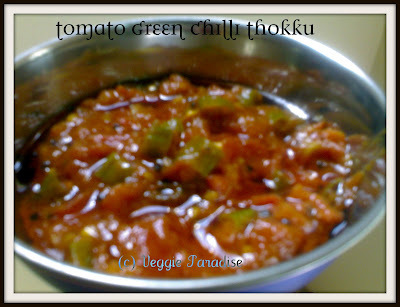 This a spicy thokku that goes well with Idli's/ Dosa/s, but I love to have with curd rice. Heat oil in a pan. Add the mustard seed, when they stop spluttering, add asafoetida. Now add the chopped tomatoes along with chilli powder, turmeric powder and salt. Finally add the tamarind extract to it and mix them gently. Allow it to boil in a low flame, until the mixture thickens and the oil gets seperated. Store in a clean air tight jar in the refrigerator. mouth watering aruna .. Beautiful click . 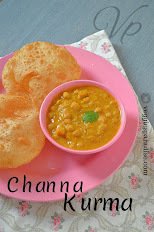 wow.. my fav dish.. looks really yummy & mouthwatering.. nice click..Thxs for visiting my site & ur lovely comment.. added u in my blogroll..
love this thokku...aruna...my favorite too...lovelllly!! I would love this chatpata & mouthwatering thokku with my rice & rotis...... WOW!!!! what a supper would that be......!!!!! Beautiful, hot and spicy thokku!! tempting.. will try this with dosas..
Yuumilicious. I too will love it with curd rice. The thokku does look great. Must be really spicy what with all that green chilli in it. Must taste great with curd rice! ohhhhhh Looks delicious and nice side for rasam rice.Nice click. Aruna this looks so spicy and mouthwatering. Even I would like to have it with Curd rice. fingerlicking recipe. The thokku looks beautiful! 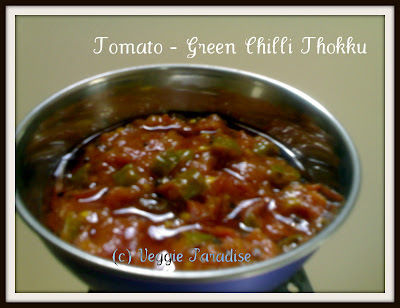 I can imagine the flavor of tomatoes and green chilies, will try it very soon! Umm.. can feel the tartness. Good one. mmm such a delicious tangy and spicy dish..really great with curd rice..
Wow mouthwatering thoku...glad to follow u .. Thank you so much for visiting my blog and leaving your comment..I am so happy that u came to blog and helped me discover ur blog..U have a fabulous blog here,will be happy to follow u.
Thokku looks spicy and delicious. Wonderful presentation. Wow yummy this looks amazing I ma definately going to try it. The thokku looks delicious.. this is the same way my chitti too makes this thokkku but she never adds the green chillies.. and she prepares it with gingelly oil. Good one! Thanks for visiting and for ur lovely words, chili thoku sounds interesting! 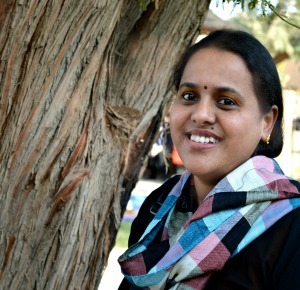 Hi Aruna ...Hopped in here from Ashkuku's blog and i must say your blog is wonderful...this thokku looks like a pickle ...is it so ?? Actually iam new to this site and glad that i discovered this.